Well, I've officially grown weary of talking about Favre after just one week and the damn season hasn't even got underway. I did realize one thing this week that got me excited though. I can honestly say that I found myself twiddling my thumbs and increasing my Pai Gow play during the 3 day mid season break that the baseball bigs took early in the week. I am glad to see all teams back on the field and now is the time when the managers start to get a little more systematic, and we all find out who really has the talent to carry themselves through 162 games. Lets start with the Mets, they finally found out how to lose after taking 10 straight. While I have to give them props for getting this done, the true test lies ahead. The emotional high is gone, and after winning all those friggin' games they are still one game back of the Phillies. I can honestly see a slide in the opposite direction, especially since Philly has only been playing .500 ball recently. Look for Philly to pull back up by 5 games within a couple weeks. And how about CC Sabathia. I never knew that moving from Lake Erie to Lake Michigan gave anyone the ability to throw 9 consecutive innings(twice none-the-less) and start winning ball games. I've gotta believe that this trend is going to continue. CC has what it takes to get the job done, and he is finally on a team that is contending for a title. This change of scenery was perfect timing and will be a perfect match as the Brewers either grab a wild card spot or even steal the title from my Cubbies late in the year. 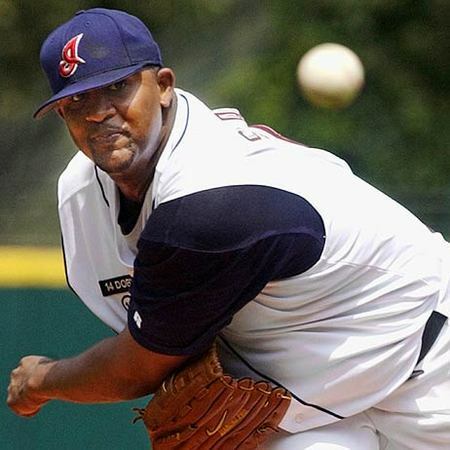 There is no better 1-2 punch in the game than Sheets/Sabathia, unless you could clone Maria. The Brew Crew has a nice little 1-2 punch with Sabathia leading right into Ben Sheets. Dr. Silk Sheets has only let me down once this year and I don't see number 2 coming today. While the Giants won't get much more than a couple runs, Milwaukee gets lefty Sanchez and they happen to be 21-8 against lefties this year. I don't know that I need to put a whole lot of words where they aren't needed. Brew Crew wins 6-2. Roy Holladay will have a little treat for the Rays today and provide them a rare home loss. While I agree the Rays are good, their mound presence today with Matt Garza could use a little work. Garza's numbers aren't horrible for the year, but his last 2 outings have been pathetic, riddled with lots of hits, runs, and short innings. He hasn't pitched in a week and a long layoff doesn't help someone in a slump in my book. I see the Jays hopping on him early and getting Roy Holladay a comfortable lead that will allow him to pitch his game. Jays win 7-4. This page contains a single article from July 19, 2008 6:18 AM. The previous days article was Greg Gamble's Daily MLB ATS & NBA Luv. The next days article was INSIDEPLAYS.COM PICKS PRODUCED BY TEASIN' T-BONE.